In 2011 Dr. Maya Angelou received the Presidential Medal of Freedom, the nation's highest civilian honor, from Barack Obama. This year the national treasure that is Dr. Maya Angelou released her new book MOM & ME & MOM. In it she not only shares lessons learned from her mother, but how she came to better know herself along the way. Chronicling a conversation she had with her mother, Dr. Angelou says this: "She (her mother) actually said, 'Mary McLeod Bethune, Eleanor Roosevelt and my mother,' - she said, 'You're in that category.' I was 22 years old! She said she was too mean to lie, and she was very intelligent. So I thought, suppose she's right? Suppose I do have something? Suppose I am going to be somebody?" That conversation made her think that her life could mean something---and she was right. For generations now Ms. Angelou has been the teacher of women and men around the world, showing them what is possible no matter where they are from. One such student of her teachings is Rosa Johnson Butler, her very own niece and archivist. "She has been a part of my life all my life," she shared with me during our conversation together about her role in bringing the book MAYA ANGELOU: A Glorious Celebration to life. She told me the idea for the book initially came from Dr. Angelou's longtime friend Dr. Long. He asked her to collaborate on the project and the process went on from there. During our exchange together I asked Rosa what was something that she could tell us about Dr. Angelou that some might be surprised to discover. She went on to share this: "I was recently asked during an event that who my aunt, who is a source of inspiration and counsel for so many goes to," she told me. "I told them the answer is simple: she goes to God. My aunt told me that she said to God some time again if you want me to say it put it in my mouth. She has surrendered herself totally as a tool and instrument of God." This reminded me of what Dr. Angelou said to Oprah during an episode of Super Soul Sunday on OWN: The Oprah Winfrey Network. She said that to her God is all, and it is to All that we must all go to find peace. Another great story that Rosa shared was about when Dr. Angelou was a teenager. "My aunt spoke several languages as a teen," she told me. "At this time she was 6 feet tall, pregnant, unwed, still in high school and of course black. She would go and stand outside the United Nations building in San Francisco, watching the people come and go. She was convinced that if she wasn't black, or 6 feet tall and pregnant that she could get a job there as a translator. Afterwards she would go home and weep. Fast forward to the 50th anniversary of the United Nations and who do they ask to write a poem about the event? My aunt, Dr. Maya Angelou." The lesson for us? "I really believe that each one must teach one," Rosa told me. "Life will knock you down but you must not be defeated by it. We are standing up and saying we will not be defeated. Right will win out." Rosa told me that during a conversation she had with her aunt she told her "the stream of knowledge just comes out of you." Rosa says that Dr. Angelou told her that it comes out of her from the source, and when you learn to surrender to All there is nothing that is impossible. 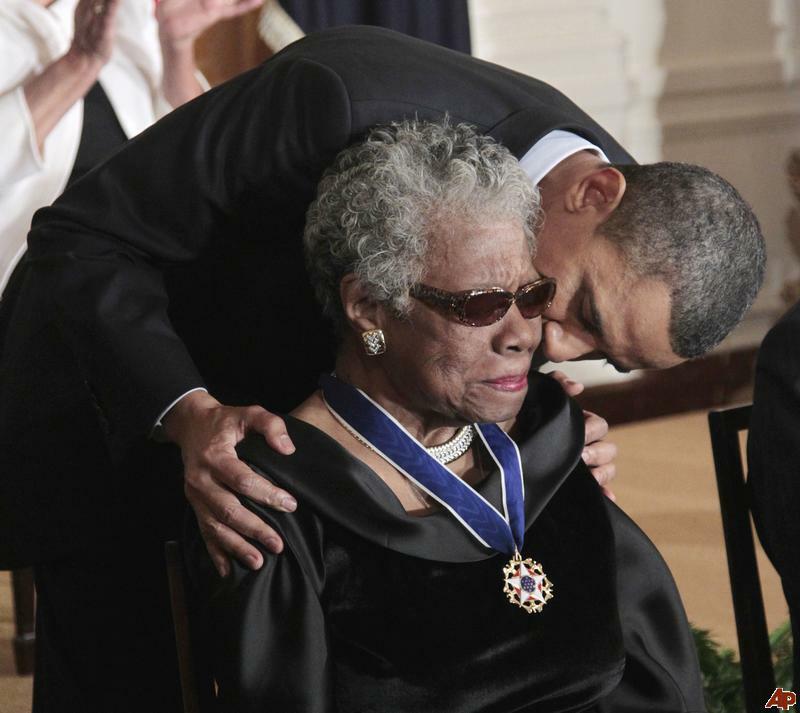 On Wednesday, May 28, 2014 Dr. Angelou fell asleep in death at her home. She was 86 years old. It was her desire to know the truth and be an instrument for good. May we all discover how to do the same. Have you identified your why? Fitness model and trainer Branden Nicholson has not only identified his why, but it literally affects each and every aspect of his life. Today he is literally affecting the lives of individuals around the world through his coaching and motivational tips, but the journey began with himself and the question of Why. Nicholson, who is the founder and CEO of B. Nick Fitness, has dedicated his life to not just getting his clients in the best shape possible but stimulating them mentally to face the challenges in front of them. His love of fitness and wellness came 8 years ago when he snapped his right femur bone in half. Some would have allowed that diagnosis to end any hope they had. Not Branden Nicholson. "Through all of this God was showing and telling me that this is not where I was going to end up at. I used my pain to push me through prosperity. I beat all odds against me.I am here to tell you that when you are going through pain I know exactly what you are feeling, because I have been there. I will tell you this much, if you work through your pain, the other side is your reward.I learned that pain isn't permanent, you can get through this because you are bigger and better then your pain. I proved everyone wrong that tried to stop me, kill my dreams to walk again, that Impossible is nothing.I got this far using my pain. God showed me he had a bigger plan for my life." Because of his inspiring approach to life I asked Branden to partner with Conversations Media Group in sharing some of his motivational tips with our audience. He agreed, and the result is what we call "31 Days of Inspiration". Through the entire month of May and going into June we will share these tips online through social media. Many of them have to do with self-reflection. Others address issues of faith and some even tackle the importance of the company you keep. Through the "31 Days of Inspiration" it is our hope that you will be able to find that inner strength to push forward even when the odds seem against them. Nicholson has this message for anyone going through a trial or situation where they feel there is no hope: "I'm telling you not to give up but to push through it. Pain is temporary.It may last for a minute, hour, day or even a year, but eventually it will subside and something else would take its place.But if you quit that will last forever! " So what is your Why? What will drive who you become? Begin to answer that question now and watch the shift that occurs in everything you say and do. 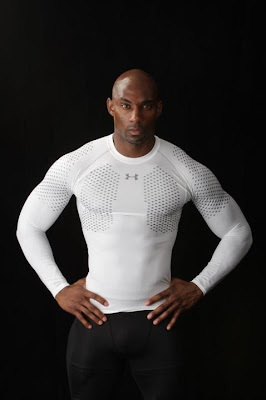 For more information about Branden Nicholson visit http://www.bnickfitness.com. You can also stay in touch with him through Twitter at www.twitter.com/officialbnick and his Facebook page https://www.facebook.com/BNickFitness.